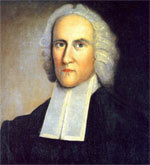 This is Part 2 of Brian’s series on Redeeming Every Minute based on the life of Jonathan Edwards. Read Part 1 here. People at work sometimes call me “Pastor Brian” because I went to seminary, but when I hear it, it’s never in an uplifting context. I usually hear it after I shoot off a snarky remark, say something sarcastically mean to a coworker, or encourage a friend to brush off their reservations about putting specialty coffee in the company coffee machine and “just do it already!” There’s an assumption that because I read about 50 more theological books than everyone else, I’m supposed to be the perfect picture of holiness at work. But, I don’t see “be holy” in my job description. Believe it or not, I have bad days at work. I never plan for them, but they happen on occasion. Some days are full of complaining and grumbling in my heart, and other days are sprinkled with gossip or laziness. There are days when I’m not a good steward of God’s blessings, when I am not thankful for my job, days when I struggle to be joyful. And as a Christian, it’s sometimes difficult for me to be a witness to my coworkers or managers because my actions and attitudes don’t reflect that of Christ. How can I praise God for the bad days? How can the Lord be glorified despite my grumbling and complaining? Well, it all comes back to worship. It is in those sinful moments, those specific days when we’re not on our best behavior, that we can be reminded of grace: namely, the grace that we are given as a result of the Gospel. When we return home after a rough day and think back on our failures, we can be grateful for the immense grace that our Lord has showered upon us. Jerry Bridges articulates it well when he writes, “Your worst days are never so bad that you are beyond the reach of God’s grace. And you best days are never so good that you are beyond the need of God’s grace” (The Discipline of Grace). Jesus Christ died on the cross for every sin and failure we have and will commit forever; this means that Christ’s sacrifice on the cross is sufficient for our gossiping lips, his death covers our snarky attitudes, and his grace covers the unseen and unheard sins we commit against our coworkers. If we take our bad, sin-filled days and turn them into praises to our Lord, we will begin to have a deeper understanding of the hope and grace provided to us through the Gospel. At the same time, we do not give up on sanctification and holiness; we do not show up the next day embracing the sinful itch to gossip or be lethargic. Grace doesn’t mean that we are free to fall into habitual sin, or chronic bad days. We should not presume upon grace and we should not be comfortable with our sins. But despite our sins and in light of the grace that God has given us, we are freed…to pursue holiness in the workplace. In other words, strive to be holy in everything that you do. Even at work. The Apostle Paul’s letters to the churches are littered with encouragements about how proud he is regarding their conduct and obedience (Rom. 16:19; Phil. 1; Col. 1). As believers, we should be known for our obedience, we should be known for our holiness. But why? Why should we be holy in the workplace? Our holiness should not be motivated by how others will perceive us or even on our testimony before our coworkers (though those might be side effects). Ultimately, our pursuit of holiness is the result of our salvation. We have been freed from the slavery of sin, so that we might have the opportunity to be holy. Again, God saved you so that you might be holy. Kevin Deyoung writes, “God chose us for salvation in eternity past and sent Christ to save us in history and gave us the gift of faith by the working of the Holy Spirit in our lifetimes so that we might be holy” (The Hole in our Holiness, 24). There are many reasons why God has chosen to save sinners, but one undeniable reason is for the sake of our holiness. Knowing this, we can be encouraged that our bad days are not beyond the grace of God and that we have been given the unique opportunity to pursue holiness for the glory of God. 1. Recognize your need for grace and worship the Lord for giving it to you. Our bad days show us how sinful we are and how gracious our Lord is. These days show us the stark contrast between what we deserve as sinners and what the Lord has granted us through the Gospel. 2.Renew your pursuit of holiness. Bad days at work are the result of a sin-ridden world, but the pursue of holiness is the result of a truly transformed life. Christians have been saved from slavery to sin so that we might pursue holiness with an intense passion to the glory of God. 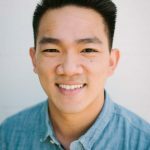 Brian Chang serves in Lighthouse’s discipleship ministry. His passion is to help deepen believers’ conviction and understanding of their beliefs. He is grateful for the humble examples displayed by the church family, as well as their patience with his many flaws (especially when it comes to taste in food). In his free time, Brian enjoys reading about church history, writing book reviews, playing basketball, and working on bicycles.